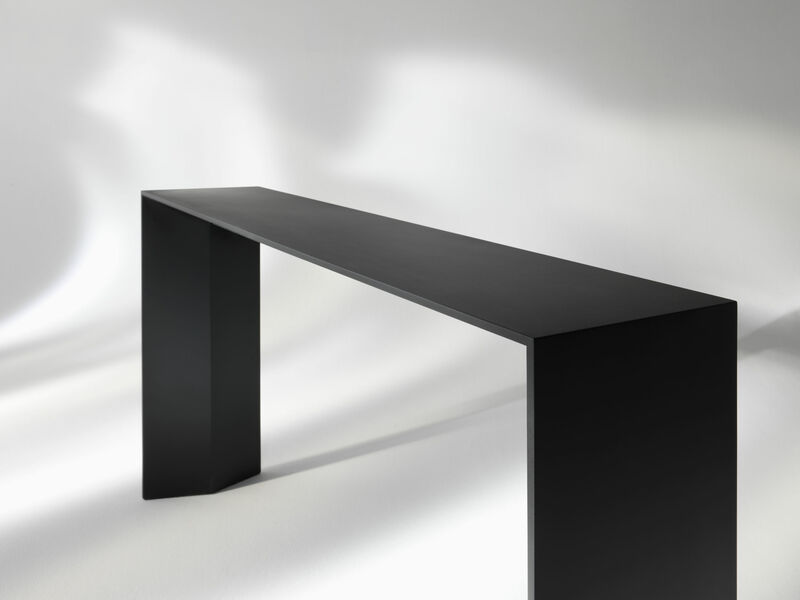 Dining table in plywood natural birch or black lacquered satin. Extra-bright tempered glass top. 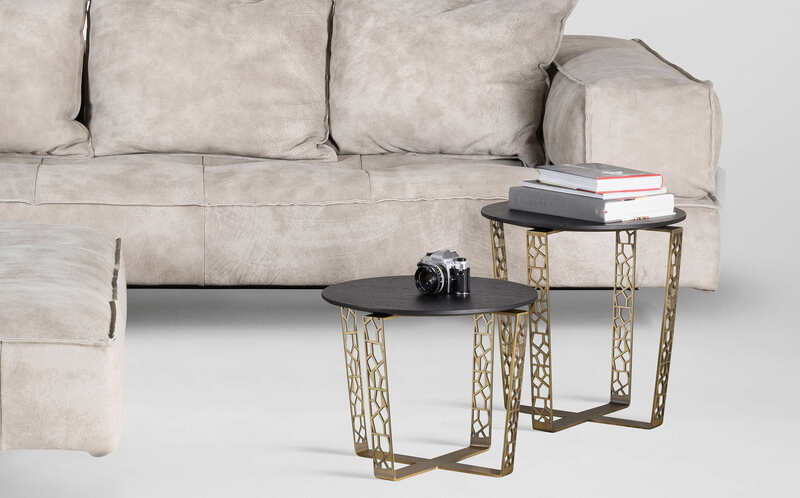 Series of coffee tables in various finish with stainless steel insert and sags. Conical basement. 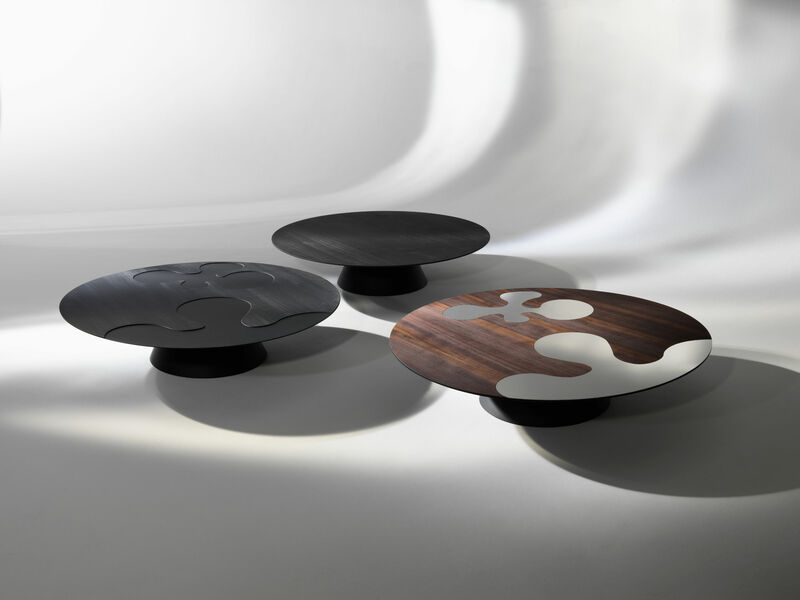 Series of coffee tables in various finishes, rectangular or square with coloured and removable trays. 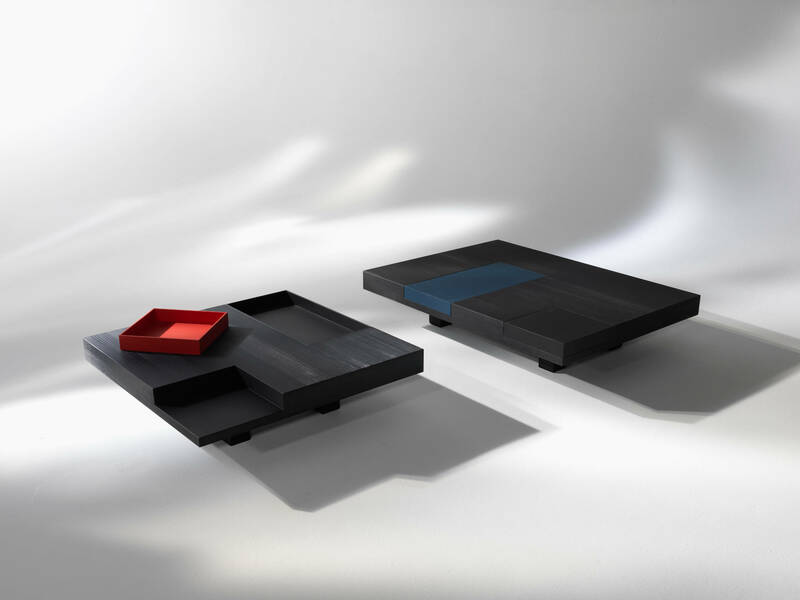 Black satin laquered wood with red tray. 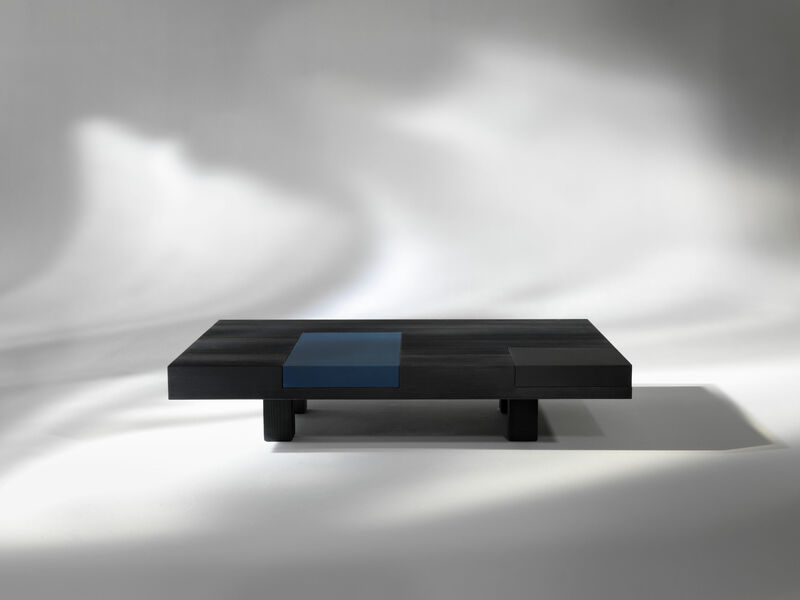 Black satin laquered wood with blue tray. 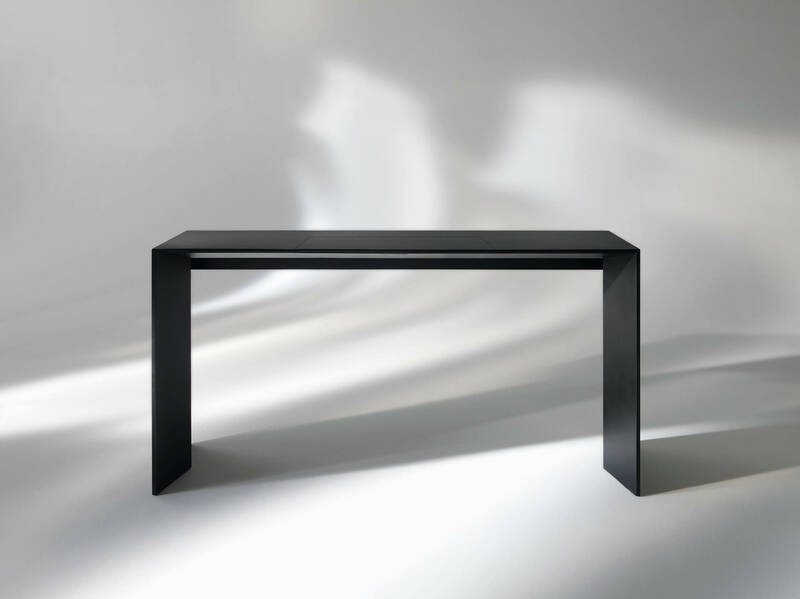 Consolle lacquered in matt satin black, white or gold with built-in retractable tray. 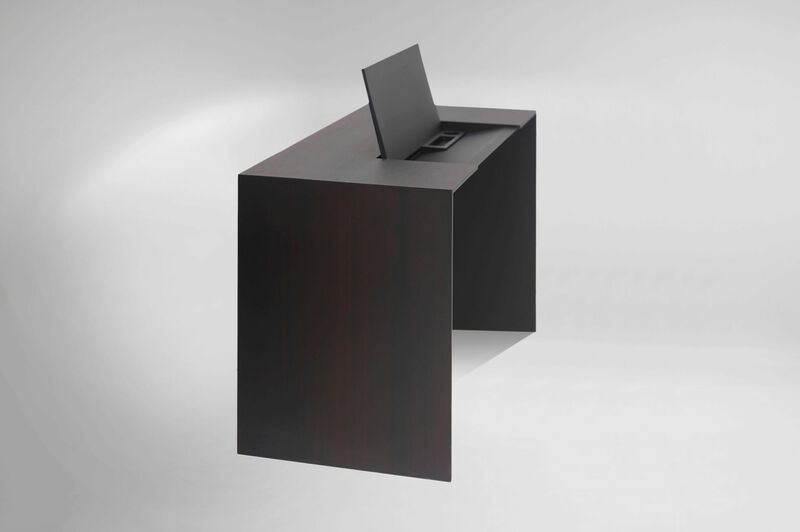 Consolle / Desk with a reversible door that hides the retractable storage compartments. 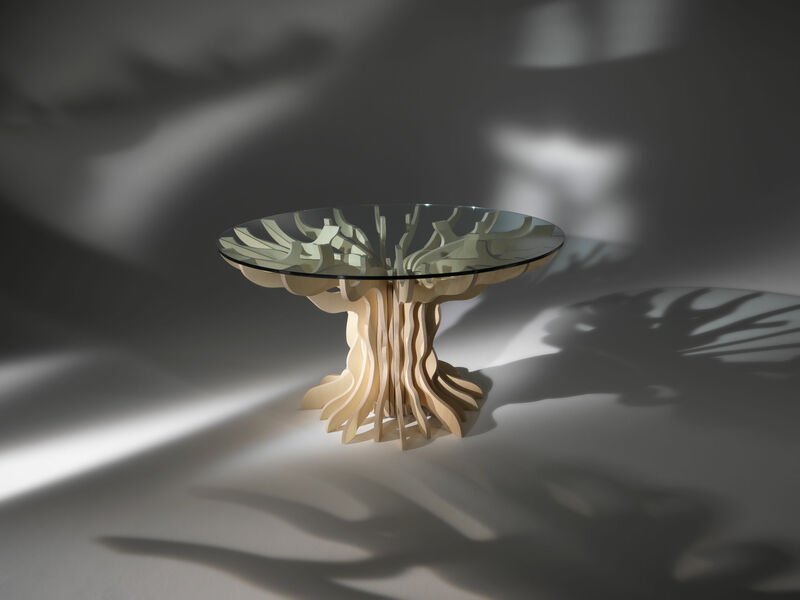 Circular coffee table, diameter 47 cm, in two heights, 37 and 45 cm with marble top and metal frame. 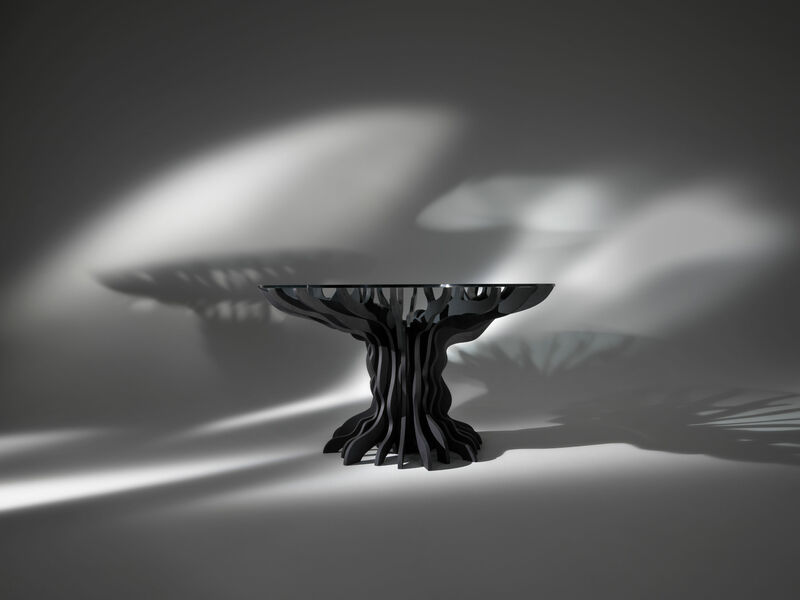 The metal frame is available in bronze and titanium finishes, the top is available in Marquinia black marble, white Carrara marble and Emperador dark marble.